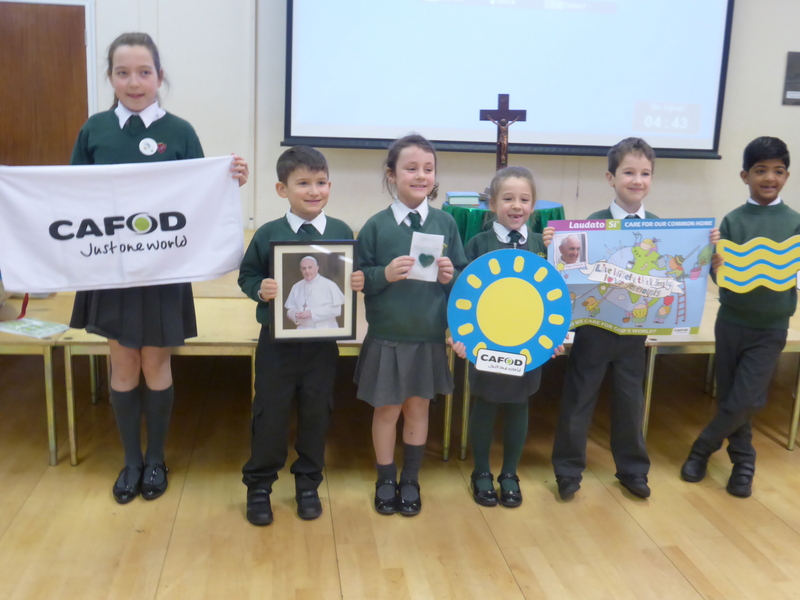 On Monday 13 March one of our schools volunteers, Therese Warwick, visited St Francis Xavier’s RC Primary School in Hereford to share the message of Pope Francis’ encyclical Laudato Si’ at assembly. This was followed up with a workshop with Year 4 and their class teacher, Mrs George who is also the school’s eco-co-ordinator. During the last week of the spring term, pupils at Archbishop McGrath Catholic High School, Bridgend, joined together to organise a host of Lent events; not only did they have a lot of fun, they raised lots of funds for the Lent appeal. Throughout the week, many events took place including a bush tucker trial, a sponsored run, bake sales, a movie screening and fishing game. The total for the week is well over £1,700, with the winning form class raising over £450. It’s been a busy time for our Schools volunteers team as they have been out and about visiting schools across the Archdiocese. 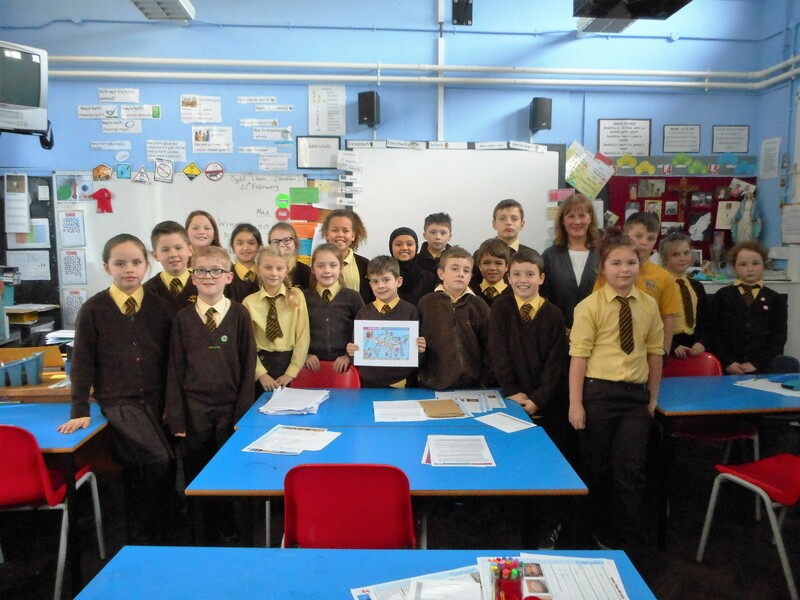 In Menevia, on Valentine’s Day St Mary’s Primary School in Pembroke Dock welcomed us into school to learn all about how a fish farming project in Zambia is transforming lives – the children loved the video of Bob, the fish that’s he size of your thumb! The whole school assembly was followed up by a Lampedusa Cross pilgrimage with Years 4, 5 and 6. Many of our neighbours around the world struggle to make ends meet. They don’t even have enough money to buy the basics in life that we take for granted – like food, a home and clothes. 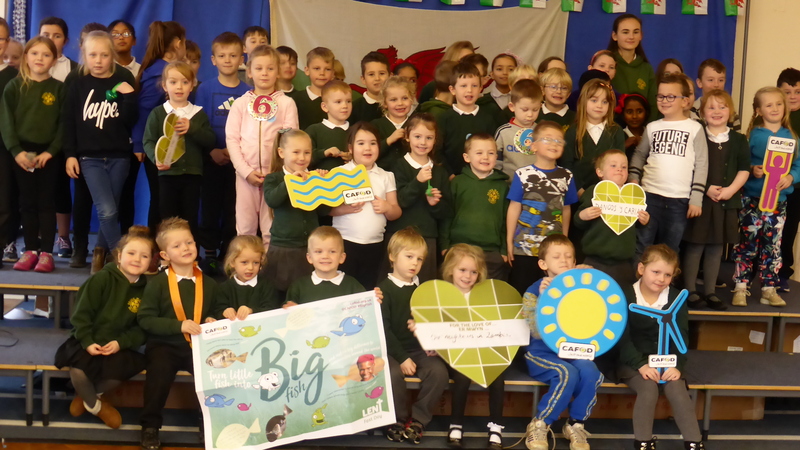 On Monday 27 February, just before Lent started, St Teilo’s Primary school in Tenby learned how we can help to change this by joining with other schools across England and Wales to Turn little fish into Big fish in the whole school assembly. 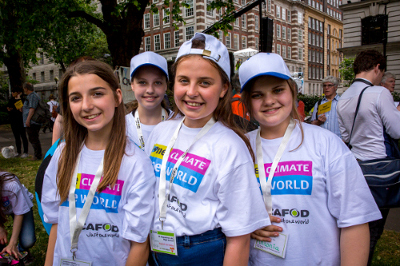 Morning assembly was followed by a workshop for Year 5 and 6 exploring Laudato Si’ The Pope’s encyclical discusses the damage being inflicted on the Earth by humans and calls on ‘every person living on this planet’ to make urgent changes to our lifestyles and how we consume energy in order to protect the planet. 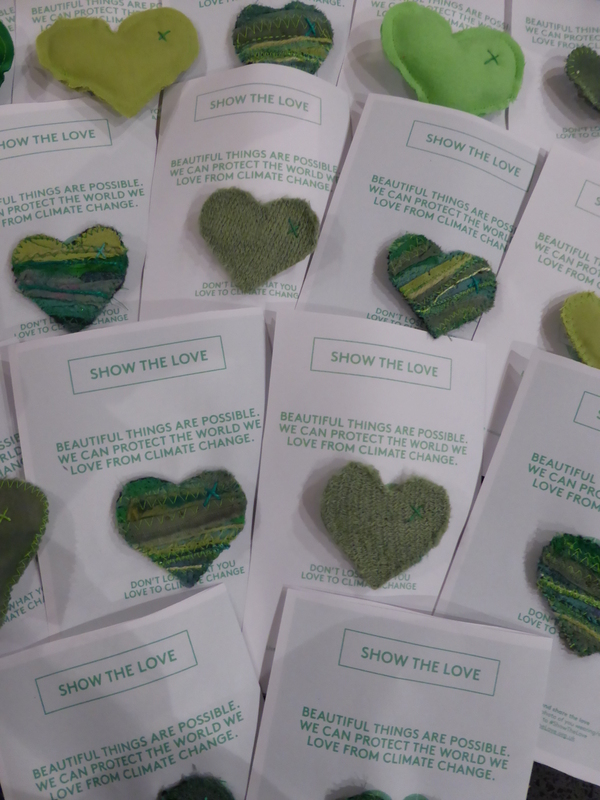 Take a look at our Laudato Si’ animation. 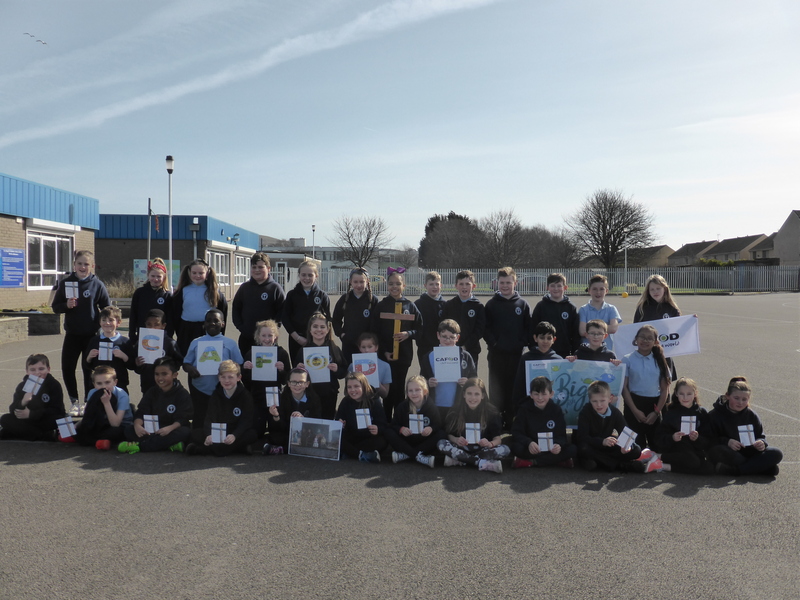 The day after Lent began, we travelled to St Joseph’s Junior School in Port Talbot to share the story of Florence’s transformation through fish farming with the help of CAFOD’s partners in Zambia. After break Year 5 and Year 6 also followed the Lampedusa Cross pilgrimage action – and wrote some beautiful and poignant messages of hope for refugees. The following day we were delighted to meet pupils at St Joseph’s Catholic Primary School in Neath. One of our newest school volunteers, Jane, delivered the Lent Fast Day assembly and was delighted with interest in CAFOD at the school. She was particularly delighted to learn that St Joseph’s is an “eco friendly” school which strives to recycle as much waste as possible and encourages healthy snacks for children such as fruit, which is not packaged which helping us all to care for our common home. We are always on the look out for more people to join our growing team of Education volunteers in Menevia. Please get in touch if you would like some further details. We all feel that it is such a rewarding role and a real privilege to work with the young people and dedicated staff in our Catholic schools in the diocese.